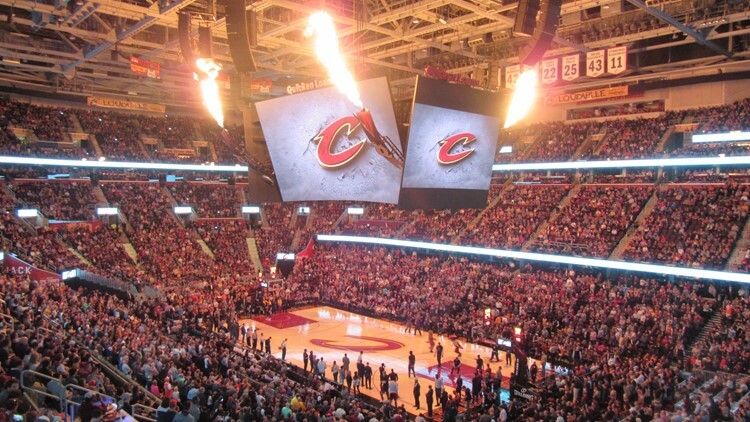 Quicken Loans Arena had the fifth-best rating in the NBA for concession stand health and safety inspections. The Cavaliers (12-46) were trying to win consecutive games for the third time this season. CLEVELAND (AP) - D'Angelo Russell scored 14 of his 36 points in the third overtime and the Brooklyn Nets outlasted the Cleveland Cavaliers 148-139 on Wednesday night. DeMarre Carroll's desperation 3-pointer at the buzzer of the second overtime tied the game, and Nets carried the momentum into the third extra session. Joe Harris scored 25 points and Carroll had 18 as the Nets improved to 30-29 - above .500 at the All-Star break for the first time since 2012-13. Jordan Clarkson scored a career-high 42 points for Cleveland. Collin Sexton had 24 points and Marquese Chriss added 23. Cleveland seemed to have sealed the win when Clarkson made a go-ahead jumper in the final minute to put Cleveland ahead and added two free throws for a 128-125 lead in the second overtime. Brooklyn called timeout and Carroll was double-teamed in the corner after taking the inbounds pass. He took a couple of dribbles to his left and put up the shot to tie the game. Carroll fell to the floor and was mobbed by his teammates, who poured off the bench.